Backup singers have often got great voices with loads of talent but because of a bigger, more sensational star, their worth is often outshone. The same goes for some of KaraFun's features. We've got the heavyweights (offline mode, key and tempo change, vocal volume adjustment and the dual display feature). But we've also got the backups, every bit as valuable in making your karaoke party unforgettable. Here are 7 great features on KaraFun that you might be overlooking when organizing a karaoke party. Save your voice for singing not shouting above a festive crowd. With this feature, you can type in the name of the singer to have it displayed at the start of the song. Activate this feature under Settings > Playback (Android / iOS) or go to the menu bar > Playback (Windows / Mac ). Tip: Use the feature in conjunction with the remote feature (learn more) to make organizing your guests' song selection even easier. Give your guests time to take the stage and prepare. When this feature is activated, a karaoke song that is in the queue will not start without pressing play. Inversely, if this is not activated, songs in the queue will play one after the next. 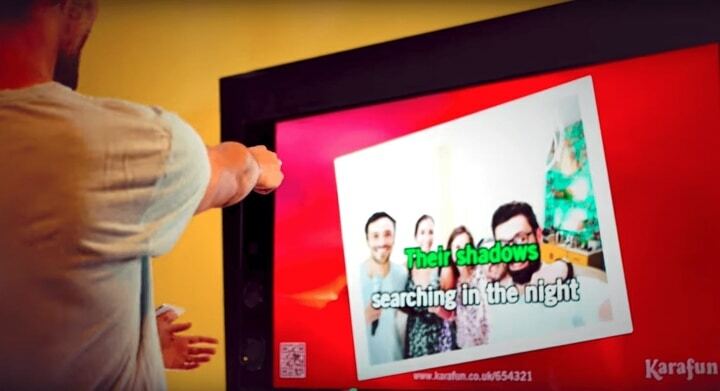 Hand's down, the KaraFun remote feature is a star in its own right. Couple it with the possibility to upload one of your own photos and you've got a bonafide super star. Upload any picture from your photo library or take one on the spot and have it displayed on the big screen. To use this feature, turn on the remote from the KaraFun app. Next , after logging in to a session from a smartphone, tap on the camera icon. An active subscription and a strong internet connection is a must to take advantage of this feature. With a little ditty playing in between songs, you'll avoid crickets chirping in the crowd. Choose from five different tunes or select them all to play at random in between songs. Activate this feature under Settings > Playback (Android / iOS) or go to the menu bar > KaraFun > Preferences (Mac ). For Windows users, there's an extra little bonus, add your own background music tracks in Mp3 format. Go to the menu bar > File > Preferences. When your guest has momentarily stepped out and you don't want to wait for his return to keep the singing going, quickly and easily reorder the queue to change up the song sequence. 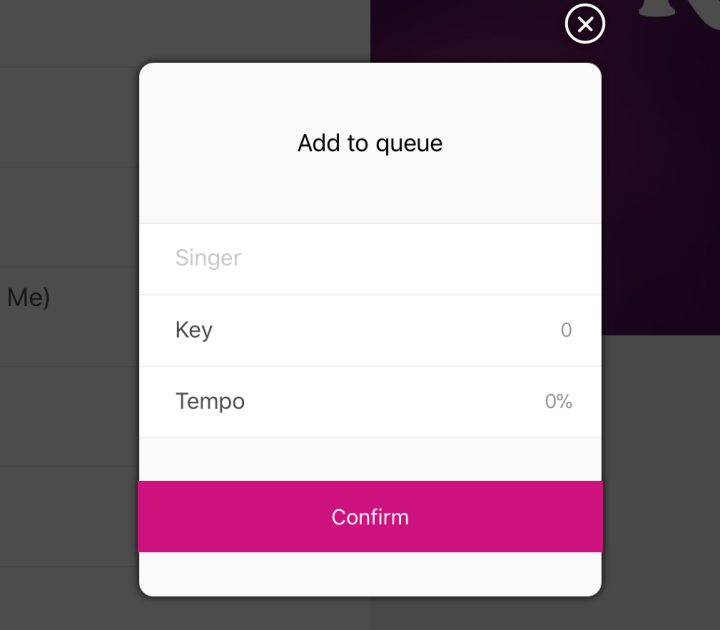 To use this feature, from within the queue, tap on the three bar icon to the right of the desired song, hold it down and drag the song to the desired place in the queue(Android / iOS) or click on a song in the queue and drag and drop the song to the desired order (Windows / Mac). Swipe any song to the left to sync it to your offline songs or to the right to add it to the queue. Can't get more simple than that! Start, stop, fast forward increase volume, it’s all at your fingertips with keyboard shortcuts. Mac users they are all here and for Windows, here. Activate the scrolling banner option and the name's of upcoming singers will scroll across the screen. 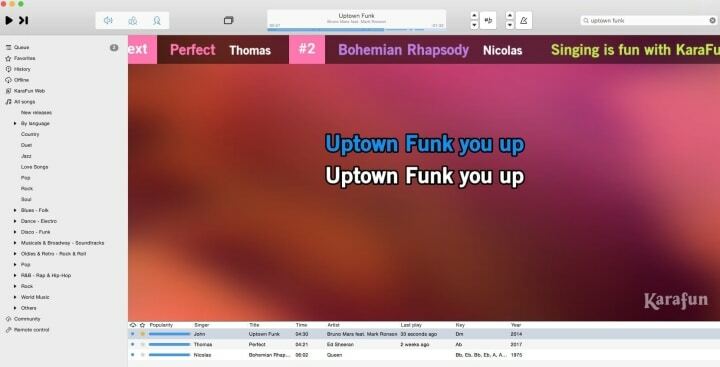 You can even add a custom message to be displayed (may we suggest "karaoke for life!"). Let KaraFun do all the work for you by activating the remote feature along with the ask singer’s name feature and all you'll need to do is sit back and relax! Activate this feature under Settings > Pro > Scrolling Banner (Android / iOS) or go to the menu bar > KaraFun > Preferences (Mac) and menu bar > File > Preferences > Display (Windows).